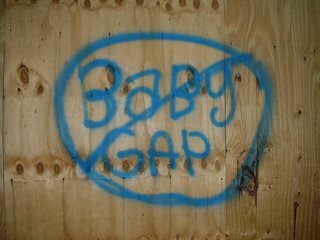 on the un-billposted section of the wall around the big hole at 5th and 13th, where the BG is rumored to be gestating as we speak. apples are hot & juicy! THIS IS THE BEST PROM EVER!!! why you gotta piss me off on a friday? the books love bocce too! tom, tom, tom, why do you hurt me so?